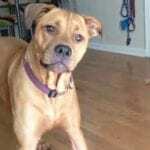 How Do I Apply Coconut Oil to My Dog? Coconut oil is a versatile anti-inflammatory supplement that can benefit you and your dog. Coconut oil could improve your dogs digestion, dry skin, reduce allergies, combat illnesses, and give him or her a sleek and shiny coat. Coconut oil for dogs comes in the form of supplements or treats. 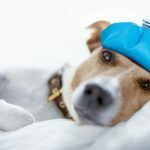 Because over dosing your dog can cause negative side effects, it is do your research and find the right product for your dog’s individual needs. Coconut oil is an edible oil, extracted from the coconut, that is high is saturated fat. The benefits of the product come from these “good fats” and make coconut oil a true superfood. Coconut oil is safe and effective for use on dogs so long as you follow the proper dosing guidelines. Coconut oil can improve your dogs digestion because medium chain fatty acids increase nutrition absorption in the GI tract. Coconut oil also contains lauric acid, which can prevent bacterial infections and viruses, and medium chain triglycerides which can aid in digestion and other digestive disorders. It can aid in the healing of inflammatory bowel syndrome, colitis, or other digestive disorders. Coconut oil packs a powerful punch when it comes to your dog’s immune system. It is an antibacterial, antiviral, and anti-fungal agent that can reduce the instance of infection and disease in your dog. You probably already know that adding coconut oil can improve the look, feel, and health of your skin and hair. It has the same effect on man’s best friend. The product can clear up skin conditions, like eczema, dermatitis, or hot spots and reduce the chance of further allergies. Coconut oil can also make your dog’s coat shiny and protect your dog from fleas, ticks, or mites. Coconut oil can also be applied to your dog’s skin or coat topically. It can soothe your dog’s itchy skin as well as calluses and cracked foot pads. Coconut oil also shortens the healing time of cuts, bug bites, and other abrasions. 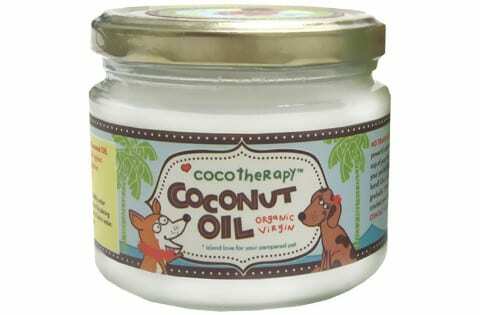 Coconut oil supplements can be melted down and used as eye and ear drops to clear up those infections common to dogs. Coconut oil can also be used to combat tartar buildup that causes a dog’s bad breath. Because it helps to regulate insulin production, coconut oil can help your dog lose weight and gain energy. The supplement also reduces inflammation around joints and ligaments which can soothe the pain of arthritis and other joint pain. You should always read the label on products that you buy so that you can be sure of the ingredients and can determine the product's nutritional information. The labels on coconut oils are no exception. Coconut oil comes in two types: natural and refined. You should choose the virgin or extra virgin coconut oil. Unlike the olive oil that you use for cooking, there is no demonstrable difference between virgin and extra-virgin coconut oil. You can purchase either type for use on your dog. The other option is known as “RBD” which means refined, bleached, and deodorized. These types of oils are made from dried coconuts instead of fresh, mature coconut meat. While refined coconut oil is not harmful to you or your dog, the heating process used to produce the product reduces some of the nutritions. Because the health benefits of coconut oil are derived from the high nutritional content, you want to choose the virgin or extra virgin option for you and your dog. Some coconut oils are certified organic by the USDA or some other certifying authority. Coconut oils that are certified organic have shown that their products were grown without the use of any pesticides. Some companies have farms in remote locations which they claim reduces the likelihood of pollutants in their plants. Coconut oil labels can also describe the process by which the oil is extracted from the coconuts. The oil can be obtained by using a cold press or expeller press technique. Cold pressed oil is produced from mature coconuts using low temperatures. This process gives the oil a stronger coconut taste and ensures that the oil is full of beneficial nutrients. 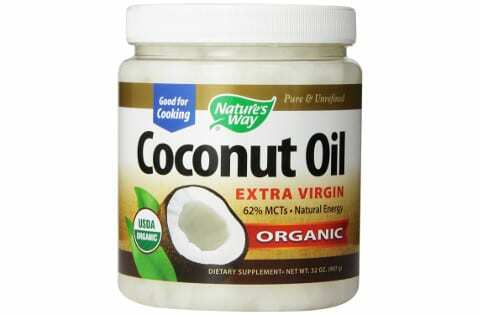 This type of coconut oil is considered "raw" as it retains its potency. Expeller pressed coconut oil is processed at a higher temperature so it contains fewer nutrients than cold pressed oils. These types of oils have a more subtle coconut taste and smell. Expeller pressed coconut oil has a higher smoke point than its counterpart. Therefore, it is better used in cooking than as a nutritional supplement for you or your dog. 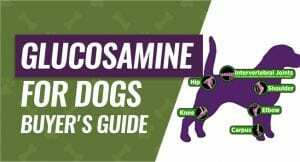 The proper dosage amount depends on the size of your dog. In general, you should give your dog 1 tsp of coconut oil per 10 lbs of body weight. Because over dosing your dog can cause diarrhea, the first dosage you give your dog should be a 1/4 tsp. After that, you can slowly work your way up to 1 tsp and beyond. It is important to allow your dog’s body to adjust to the new supplement. Gradual dosing also allows you to monitor your dog for any of coconut oil’s side effects. Generally, you can give your dog a serving of coconut oil 1-2 times a day. You can mix the dose in with food if your dog does not care for the taste of the product. If your dog is overweight, you may need to reduce the number of servings. Coconut oil is high in fat content so overdosing can lead to obesity and its related conditions. Your dog can consume coconut oil in the form of treats, mixed in with his or her meals, or straight from the spoon! Coconut oil can also be directly applied to your dog’s skin or coat. To apply coconut oil to your dog’s body, rub a small amount on your hand and rub it through your dog’s hair. If your dog has cracked, flatly elbows or pads, you can gently massage the oil into the skin to provide instant relief. 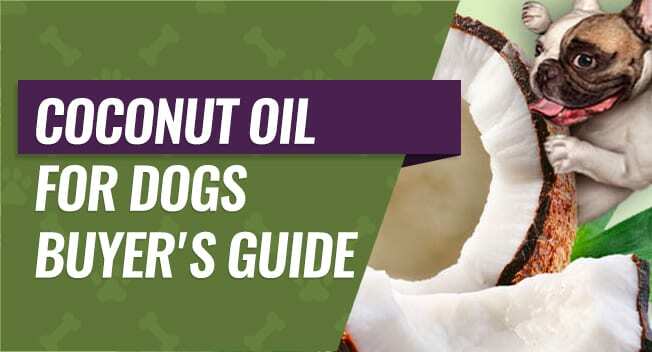 Generally, coconut oil is perfectly safe for dogs and provides them immense health benefits. 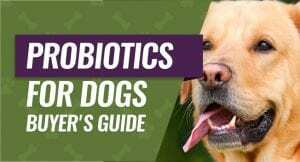 However, over dosing your dog can lead to diarrhea and weight gain. Coconut oil can also cause an allergic reaction in some dogs. You should always check with your veterinarian prior to beginning any supplement routine. Some preexisting health conditions, like pancreatitis, can be exacerbated by using coconut oil. Viva Labs uses locally sourced coconuts from their farms located on the side of a volcano in the Philippines to produce this organic coconut oil. They use a proprietary cold pressed extraction process. This extra-virgin coconut oil is certified organic and non-GMO. The product comes in two sizes: a 32oz or 54oz plastic tub. This coconut oil is kosher certified. This product is made in a peanut-free environment and is gluten-free. It is a great option if you have either of those common allergens. Users report that this product has a great taste and smell. Some users have reported that this product is quick to grow mold around the rim of lid and that the container leaks. There may be an issue with the seal that keeps the container from closing properly. 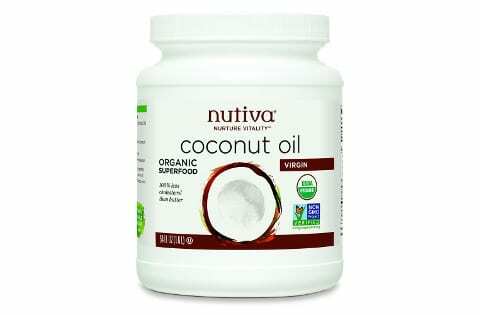 Nutiva is one of the leading coconut oil providers in the health and beauty market. Their virgin coconut oil is cold-pressed to preserve as many nutrients as possible. The ingredients are organic and non-GMO. The coconut oil comes in a semi-solid state but should return to a liquid form as it cools to room temperature. The product comes in three sizes: gallon, 1.21 gallons, and 54 ounces. The 1.21 gallon tub is the best deal. Nutiva is committed to social and environmental responsibility. Their products are made from organic, locally sourced materials in green facilities. This product is bottled in a facility that also makes peanut oils. If you or a family member have a peanut allergy you may want to avoid this product. Some purchases have reported receiving cracked or broken containers or mold growing it their containers. While coconut oil generally has a long shelf life, moisture can get into the container and spoil it. This USDA certified organic coconut oil is made from coconuts grown on a single family-run farm and processing facility. 64% of the oil contains lauric acid which can help treat bacterial or viral infections in your dog. This coconut oil comes in an 8oz or 16oz glass container. This product is free from the hexane, a petrochemical solvent listed as an air pollutant by the EPA. This humane-grade coconut oil is made from hybrid coconut species to tailor its nutritional contents to the needs of dogs. Pet owners have reported that this product causes frequent diarrhea in their dogs. Coconut oil can cause diarrhea in dogs when they are given too much at one time. If you try this product, you should start with a small dose and monitor your dog’s response. This product only comes in an 8oz or 16oz variety and is more costly than other varieties. Island Fresh virgin coconut oil is USDA certified organic and non-GMO. The company employs no refinement process in order to ensure maximum potency. Users describe a subtle coconut taste and smell. This product contains high levels of weight management nutrients so it is a good option if your dog is overweight. This product comes in a 54 fl oz plastic tub. The plastic container is free from bisphenol A (BPA), an industrial chemical that could seep into your food and cause adverse health reactions. This oil does not contain any hydrogenated fats and is useful if your dog needs to lose a few pounds. The only complaints about this product are its price and its consistency. Users report that this oil is over priced. They also warn that the oil is wet and greasy. Nature’s Way is an extra-virgin coconut oil made from cold pressing organic coconuts. This product is USDA certified organic and non-GMO Project verified. It is hexane-free and gluten-free. This oil contains high levels of the nutrients vital to weight management. This product is sold in 5 sizes and is sold in BPA-free plastic containers. 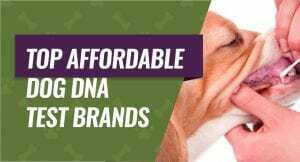 This product is an all-around good choice for dog owners because it is free from most common allergens and has a rich, creamy texture that is inviting to picky eaters. This oil also comes in 7 different flavors. Numerous users have reported that their product came damaged and leaking. As the oil can stain your clothes and countertops, you should be careful when opening this box. Which coconut oil is the all-around winner? Viva Labs Organic Extra-Virgin Coconut Oil. The best thing about this product is the effort the company put in to make this product accessible to almost anyone. This extra-virgin coconut oil is made using coconuts grown in rich, fertile volcanic soil which creates a unique taste, smell, and consistency. The company uses a specialized cold pressing technique to give the coconut oil high level of the nutrients that provide all those health benefits. This oil could improve the quality of your dog’s coat, moisture his or her skin, and repeal fleas, ticks, and mites. This tasty treat will aid in your dog’s digestion and boost his or her immune system. It is processed in a Kosher certified and peanut free facility. This product is also free from most allergens, including gluten.